A. Simply call 518-370-1441 to schedule an appointment. Please come in 30 minutes early or fill out the registration form in advance so you can be seen at your appointment time. For other forms, see the Patient Resources page. Q. DO I HAVE TO MAKE AN APPOINTMENT OR CAN I JUST COME IN? A. An appointment is preferred, but HHC does accept same day urgent care visits in both the medical and dental departments. An appointment is required for podiatry and for social work services. A. Hometown Health accepts most private insurance plans (such as CDPHP, Fidelis, MVP) as well as Medicaid and Medicare. If you do not have insurance coverage, you can get reduced rates based on a sliding fee scale. You must provide valid proof of income so the health center can determine the appropriate discount for services provided. Q. WHAT IS AN FQHC? A. Federally Qualified Health Centers are designated by the federal government under the Health Center Consolidation Act. FQHCs provide comprehensive care to people of all ages regardless of their ability to pay. Hometown Health Center is a designated Community Health Center that serves Schenectady County, which is classified as a Medically Underserved Area (MUA). Q. IS HOMETOWN HEALTH CENTER A FREE CLINIC? A. No. Hometown Health accepts all individuals regardless of their ability to pay, but you are expected to either provide us with your insurance carrier or pay for services based on a sliding fee discount. A. 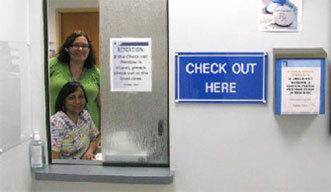 The main clinic serves all residents of Schenectady County. Our satellite clinic serves Montgomery County. Q. WHO DO I CALL WITH QUESTIONS ABOUT A BILL I RECEIVED (OR OTHER QUESTIONS)? A. Call our main number (518-370-1441) and an HHC Call Center staff member will direct you to the appropriate department.